Australiana Day Celebrations are to be held in our 12 acre Historical Village which incorporates over 70 historical buildings in landscaped gardens and walkways. 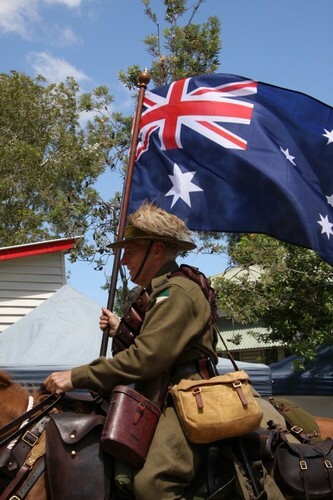 Displays from various community groups will include dairying, Gem Club, Family History Group, pottery, 11th Light Horse Military Museum, Maritime Museum, Caboolture Air Museum, antique machinery, Feather Club, Bush Hotel and small craft markets. Entertainment will be provided with free children’s activities including pony rides, jumping castle, merry-go-round and face painting. See miniature steam engines, First Fleet re-enactment and flag raising. A free shuttle bus will run from Morayfield Shopping Centre and Caboolture Train Station.